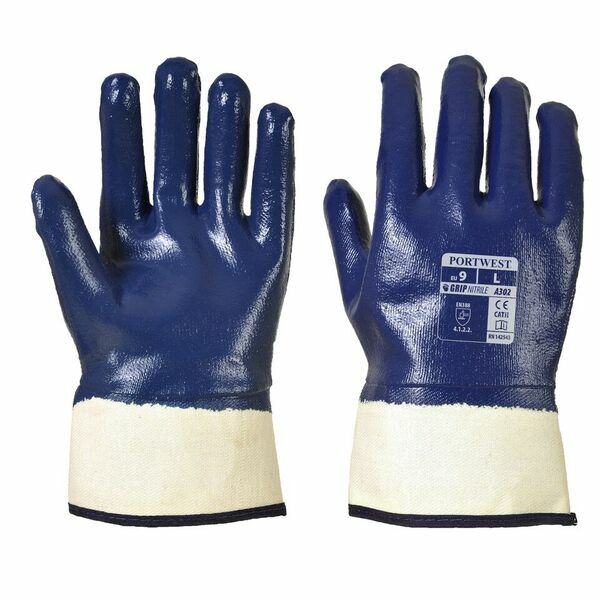 Heavyweight, mechanically strong and impressively comfortable, the Portwest Nitrile Fully Dipped Safety Gloves A302 use a full nitrile coating to provide excellent protection against cuts, scrapes punctures and tears. 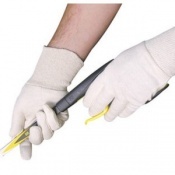 Furthermore, an extra protective safety cuff protects the wrist, providing extra safety as well as extra grip. Designed for enhanced protection, these heavy duty gloves provide exceptional abrasion resistance in high risk environments. 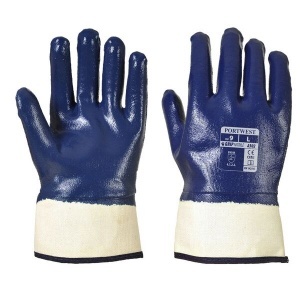 While their thick full nitrile coating provides the protection, the comfortable cotton liner ensures that the gloves can be used for a long periods of time without the user gaining hand fatigue.